We live in an era where normal cakes just would not cut it anymore, ESPECIALLY when you want to surprise your loved ones on their special occasions. 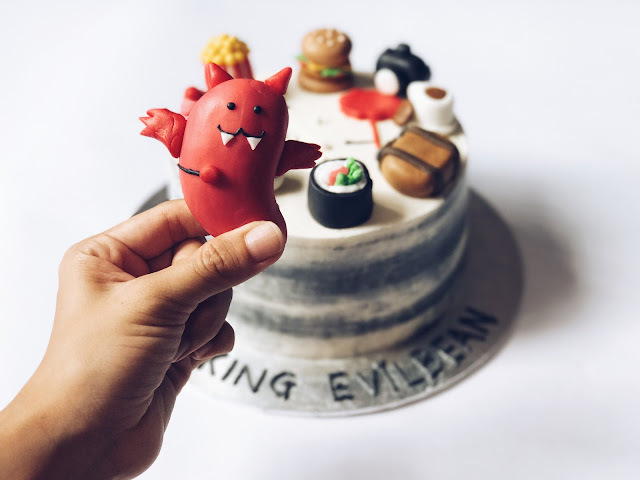 For me, I am always on the lookout for interesting cakes and saving them in my "Surprise Cakes Folder", because I love to watch the reaction of my loved ones when they get a truly unique cake. "WAH WAH WAH OMG OMG OMG SO CUTE THANK YOU!" 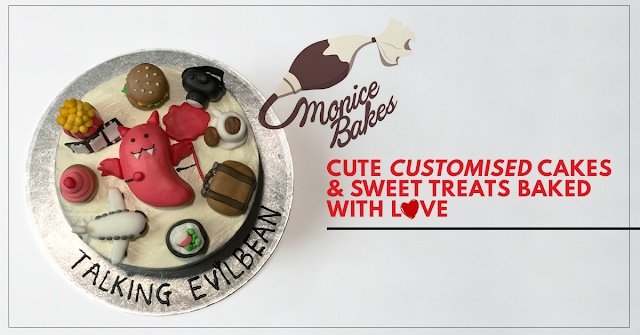 Actually... that was my reaction when I received my EVILBEAN CAKE. Really, you can ask Monice of Monicebakes. She must have taken 8 steps back away from me when I exclaimed my surprise out loud. You could really see the amount of effort and the attention to details she put in - right down to the shape of the wings of the Evilbean. I felt a wave of immense joy seeing the Evilbean in real life - something that is so personal to me is now in my hands, ready to be eaten. Imagine how your loved ones would feel when they get a customised cake with cake toppers that they can relate to. Not only did the cake look good, the cake tasted good as well! It wasn't too sweet, and the texture was moist and fluffy - just the way I love my cakes to be. You could honestly feel that she baked all these with love, and not just to fulfil another transaction. That is something very rare to find in Singapore. 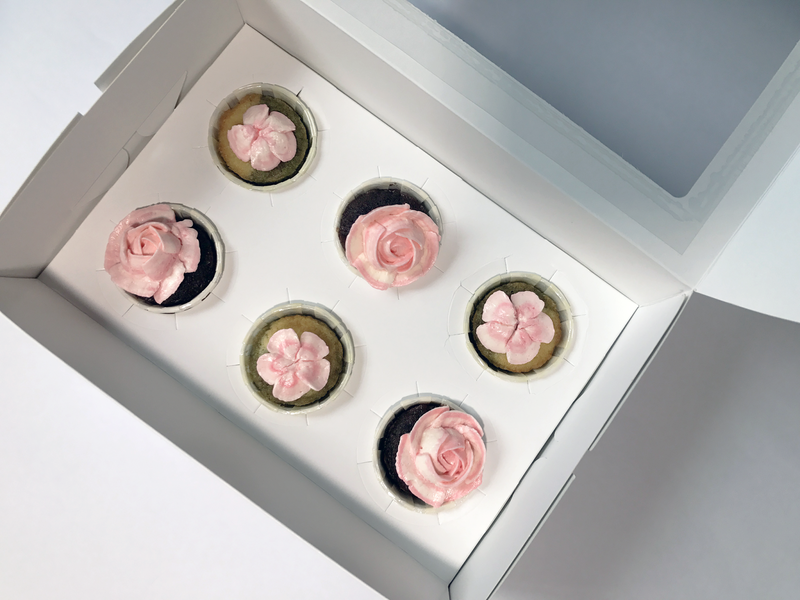 Besides cakes, you could also order other sweet treats like these ADORABLE COOKIES! You don't even need to have a special occasion to order these. If you are having a bad day/week/month, just call Monice and get her to bake some cookies for you. EVILBEAN GUARANTEES: YOU WILL CHEER UP after eating GUDETAMA /WOLVERINE /CRAYONSHINCHAN cookies. No artificial flavouring was added - all of them were made with real coffee and matcha powder! With her talent and creativity, I am pretty sure that you would be surprised with her creations. If you have been looking for cakes/cookies/cupcakes to celebrate a special occasion, you now know where and who to look for! To order, please contact Monice Bakes at 9815 0022. Do also like their Instagram account here as they have occasional bakesales at promotional prices!